Latest news for the TB Service North Central London. Angelita Solamalai (pictured) retired after 15 years as TB lead nurse at the RFH. 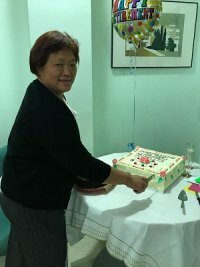 We wish her all the best for the future. Welcome to Josiane Dos Santos and Madeleine Wickers our new outreach worker and TB Case worker. 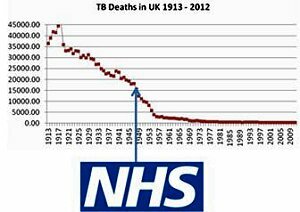 TB Alert, a UK based charity which works to tackle TB in the UK and the developing world was founded by Ken Citron and others. In the attached document he forwarded, he reflects on his life in relation to tuberculosis including having pulmonary TB himself which was cured with rest, relaxation, good food and sea air in Broadstairs! 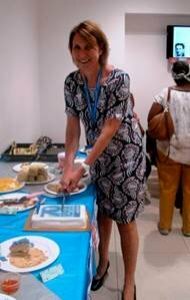 Jacqui White (Sector Lead Nurse) cuts the cake at the NHS TB Tea party at the South Hub which welcomed current and past TB colleagues, friends, family, patients and other health care professionals. 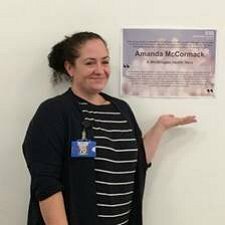 Amanda McCormack (TB nurse specialist, South Hub) was named as one of 70 Whittington Health Heroes. She received a special commemorative NHS 10p coin released by The Royal Mint. 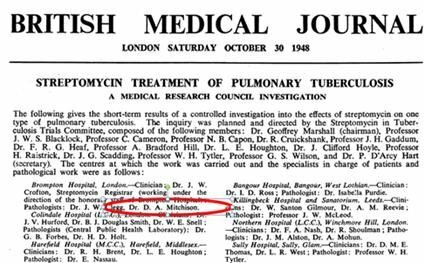 It was an opportunity to reflect on huge advances in TB outcomes in the last 70 years. 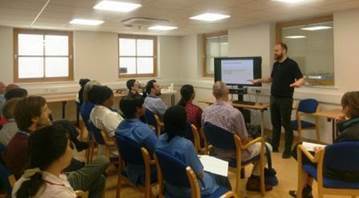 The North Middlesex team hosted a TB training session for health care professionals and 3rd sector workers. Thomas Rendal (TB nurse lead, N Mid) in action (left). A thank you present from a patient who now remembers his care! 60 year old found collapsed in the street with complete memory loss. He did not know who he was or where he lived. After thiamine (vitamin B1) supplements, successfully completing TB treatment and a lot of detective work he made a great recovery, knows who he is and is in supported accommodation! 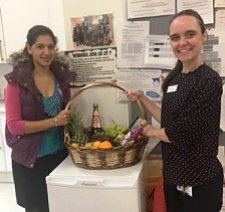 We wish all the best to Maria McEwan (TB nurse specialist S Hub) and Astrid Grindlaye (Outreach worker) in their new (not completely) unrelated) posts. Welcome to Maddie Wickers (TB outreach Care worker), Zandile Maseko (research nurse), Damien Ming and James Milburn (ID/micro SPR Whittington/South Hub). 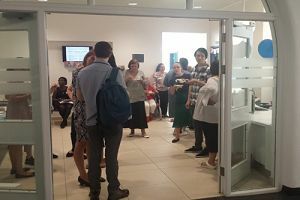 Health care professionals and 3rd sector workers were invited to an excellent session organised by Trevor Hart (Outreach worker) with support from Astrid Grindlay (Outreach worker), Jacqui White (lead nurse) and Jennifer DeKoningh (lead admin). Left to Right Sue Wilders (Social Care team leader), Trevor and Josie (ex patient). 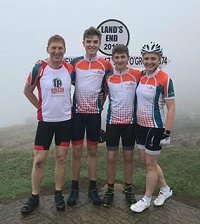 Steve worked at, and was supportive of the NCL TB service -South Hub. Meena Middleton (TB nurse specialist South Hub, committee member for the �British Association for Paediatric Tuberculosis") attended the 2nd International Meeting on childhood tuberculosis in Vilnius, Lithuania. 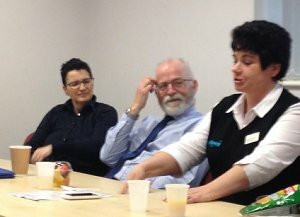 Developments and opportunities following the service restructure were outlined at December NCL TB network meeting.. 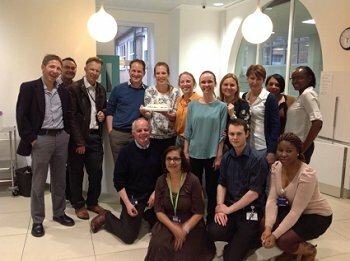 The dedication and skills of the team was illustrated by North Middlesex having 43 years of specialist TB nursing experience between them! Patient on anti-TNF alpha treatment for ankylosing spondylitis, attended A&E with persistent cough. Referred that day to South Hub . Spot sputum smear +ve. I aim to test whether our individual risk of tuberculosis disease may be due to differences in the way our immune systems respond to infection and that these differences are genetically inherited. We will measure the activity of immune genes at the site of a skin test for TB as a model for how the immune system functions at the site of real disease. We will then link differences in immune responses between people with the infection with differences in their genetic code and the likelihood of their infection progressing to disease. These studies will reveal how and why some people develop the disease while others control the infection. The findings will help us target preventive therapies to those who need them most and to develop better vaccines or new treatment for TB aimed at improving immunity. 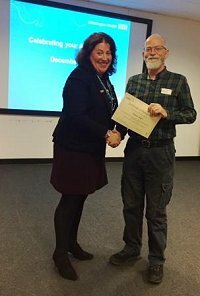 Congratulations to Jacqui Barrett (TB nurse specialist, Edgware) who passed the nurse prescribing course at Whittington Hospital. 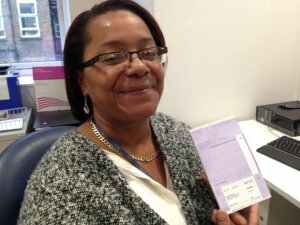 Pictured with her FP10 prescription pad.